A down-on-his-luck drifter meets a kid who makes him believe that he can be better. The star of the show has failed to appear. What will the rest of the production team ever do? The man plays with a mannequin in the shop. After a couple of minutes he starts to pretend himself as a mannequin. 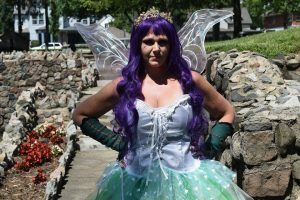 Thor makes a deadly mistake when he finds the Tooth Fairy in his garden. A group of failing monsters gather at a community center, revealing the real demons that torment them. When a summons crash-lands on their ship, Yorick (a clever and inventive skull) and his unusual crew leap, roll and spin into action to help a visitor from afar return to afar. 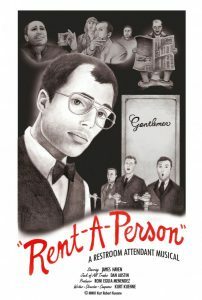 Quirky off-centre animated humor on a non-budget from one-person Seat of the Pants Film Lab (aka Deb Ethier). Find out if there really is a flag on the moon! pretty, hot and so tempting. An awkward driving instructor writes love letters to his crush. …or a dream within The Dream. While working late one night on “A Midsummer Night’s Dream”, Shakespeare tries to sort out the hitherings and thitherings of some of his characters and comes up with a way to give them a happy ending. Super-short mixed-media animated comedy from the one-person Seat of the Pants Film Lab (aka Deb Ethier). A woman struggles to learn the fundamentals of basketball. A solitary collector wanders the woods to discover the future of music. A Dude from the 80s finds himself in the present day and runs into a not-so-friendly group of students. A mousy secretary attempts to overcome her shyness and find true love by becoming a clown. A woman attempts to help her socially awkward younger brother win the girl of his dreams. Laugh Clown Laugh offers a portrait of Berlin based clown Reinhard “Filou” Horstkotte. The role of the clown, for Reinhard, is not just to entertain, but to explore the whole human being including all of the contradictions. For him, there is truly more to being a clown than laughter.For Berlin based clown Reinhard Horstkotte there is more to clowning than laughter. The 1930s comedy team of Biffle and Shooster goes to hilarious lengths when Shooster brings the boss home for dinner. This unusual comedy takes us into the secretive and persecuted world of book sniffing. Nate is an awkward man who is pulled into the world by Trisha, the underground movement’s leader. She teaches him the ways of the book sniffer while avoiding the villainous shadow men hell bent on stopping them. It’s the thought that counts…..Right? A homeless man who needs socks meets a man who just inherited a fortune and is happy he can buy Bengleton Socks everyday now. Things go south for the rich fool, due to a bad investment, meanwhile, he pays the homeless man a lot of money to get back the socks that were stolen. 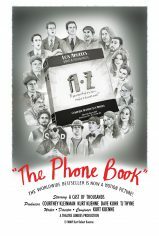 This episode of the award winning WEB Series takes us back to the age of the silent film. Tara and Jake aren’t getting along very well. The problems seem to be connected to him spending too much time on the couch. Some guidelines to hikers all aroud the world. A lonely bathroom attendant starts a business renting passengers to freeway commuters who want to utilize the carpool lane. 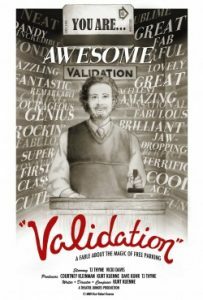 A fable about a parking attendant who gives his customers REAL validation — dispensing both free parking and free compliments. Slow starring Dave Kuhr, Jonathon P. Markanday, and Pam Cook. 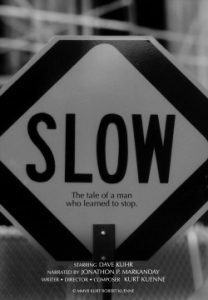 “Slow” is the story of a traffic safety worker who is accidentally caught in a newspaper photograph — and his life is changed forever. Sam, an affable, yet oblivious father, finds out his daughter is gay a week before she is to get married, and while trying to come to terms with his feelings, he encounters his straight-laced future in-laws.